The lyrics sung by Richard Burton in the renowned musical of the same name might well have been written about the Camelot Resort. 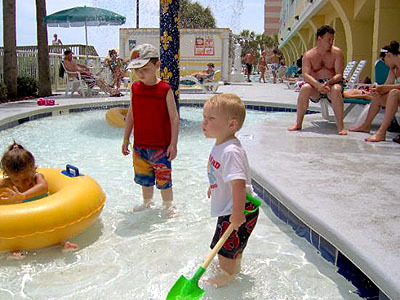 Fortuitously located near all the excitement and attractions which make Myrtle Beach one of the most popular vacation havens in the United States, the oceanfront condo resort exudes luxury. The charm of Camelot by the Sea starts with the King Arthur’s castle theme which welcomes guests into a beautiful lobby and extends to the condos themselves which are filled with amazing upgrades. One-two- three bedroom condos are priced from around $100,000 to $300,000. The amenities are fit for a king and feature a fitness room, a seasonal outdoor snack bar, indoor/outdoor pools, a two hundred foot lazy river, a kid’s pool with waterfall, a Jacuzzi, and Roman spas. The beach and ocean are right outside the door. A short scenic walk will take you to the Myrtle Beach Skywheel and it’s only a 6 mile drive to great entertainment like the Carolina Opry - not to mention the great shopping opportunities up and down the Grand Strand, 1500+ dining experiences, and over 100 world class Myrtle Beach golf courses. If you are looking for an investment property, this just may be what you are looking for. This resort is a popular rental property and owners have a choice of several local condo management companies including the onsite rental program. Have we piqued your interest? 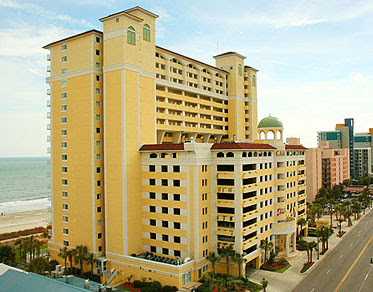 Call us today and let us show you the incredible condos for sale at Camelot by the Sea in Myrtle Beach.